On The application I have a web block that contains a Container (where the map will be drawn), an expression (with Escape Content as 'no', and the scripts below as value so it may be inserted on the html of the page) and a button that try to run the same script again (just for test measures and see if it was a problem of the script executing before the div was ready). The problem is : this code I am using isn't working on the outsystems , leaving a blank screen webpage . But the same code on a HTML file works fine. No errors are listed on the browser console and upon inspecting the code with development tools (Chrome) I noticed that the canvas was being created, but has height = 0 (editing this value changes nothing). If someone know a way to work around these problems I would love to hear about. Thanks for the atention. Not sure if it will work, but I atached the oml aswell. Hi Jhonathan. I'm working on a component for the Here Maps API right now. In a couple hours I'll be publishing the component and you can test it, ok? Hi Jonathan, sorry about that. The component is now fixed and the version 1.1.0 is available. Thank you for letting me know, and enjoy it! Do you have any idea of what could be happening ? Can you share your espace? Here is the oml I am testing the API. Hi Jonathan, have you registered your App on Here Map's website? After you generate your App ID and App Code, you need to set them on HereMapsJavascripAPI module's Site Properties. Yes, I am registered and using my id and code on the Espace. I tried on making my own module and it's working there. I'm so sorry for the delay, Jonathan. So, if I got it right, it's working now, isn't it? Ps. : I can not access the link you put, it needs authentication. I mean ,I wasn't able to make your module work unfortunately (even with the app-id and code), but I made my own module using those same keys and was able to make it work so my problem is kinda solved. The only thing I did was to set the keys on the Module Management and set it on the site properties and drag and drop the map and the load api web block to the screen. 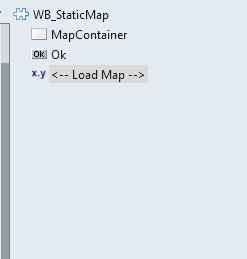 The map still blank and no errors are returned on the console of chrome. It is really weird to hear, Jonathan. I just installed the module an another PE, and it worked just fine. Well, good you've solved it on your end. Jonathan, I just got it working. The issue was on a CSS rule, that was defined only in the Sample App. I'll fix it in the component and publish a new version. Hey João, I just tested the new component and it's working 100%. Thanks for it working as fast as possible on the fixes, and thanks for developing it aswell.